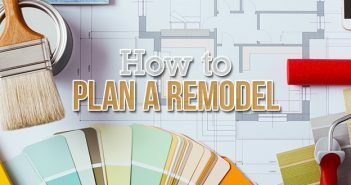 We’re nearly halfway through 2016, and yet its already clear what the hottest bathroom remodeling ideas are this year. Some of them are quite literally hot, while others have the potential to be quite shocking. Without further ado, let’s take a peek at the hottest bathroom remodeling trends this year. Cool blue mosaic tiles are always a popular choice for bathroom walls. The architectural stylings of Barcelona and Southern Italy are increasingly being imported into the American bathroom. Mediterranean-inspired tile patterns, such as mosaic and arabesque, are very popular choices. Metallic bath features strongly complement these pattern choices, giving your bathroom the feel of Tuscany without having to leave the comfort of home. You can never have too many cabinets. Hair dryers, band aids, medicines, Q-Tips, tissues, towels, toilet paper, it all has to go somewhere. That’s why smart storage solutions are a big bathroom remodeling trend this year. You can take advantage of the vertical space in your bathroom by adding tall cabinets and extra shelving where ever there is room, leaving not one square foot of space without a storage option. If you prefer to have everything readily handy, you can use open-shelving instead of cabinets to give yourself more space for toiletries and make it easier to find those nail clippers that seem to disappear every week. White subway tiles aren’t the underground design choice they used to be. They’re now completely mainstream, popping up in bathrooms all across the country. Why? 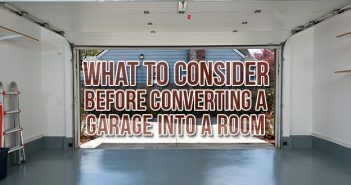 For one thing, they go with practically any flooring or decor choice and they are relatively inexpensive compared to more ornate tiling options. Plus, a plain white bathroom is very pleasing to the eye. More and more homeowners are ditching the conventional combined bathtub in favor of curbless, walk-in showers. A curbless shower makes the bathroom look bigger, gives you more space in the shower, and leaves less corners for you to clean. Walk-in showers are also ADA-compliant, potentially boosting your home’s value, while also making the aging process a lot easier on you if you plan to stay in your home after retirement. Technology is already changing the way we get around the world; so it shouldn’t come as a surprise to see it changing the way we prepare ourselves to greet the world every morning. One of the biggest bathroom remodel trends is wiring up the shower so you can jam out to your favorite playlists while getting clean. Kohler has even started selling showerheads with built-in speakers that wirelessly connect to your phone via Bluetooth. Other bathroom innovations making a splash in the old water closet include mirrors that double as TV screens and toilets that come with speakers of their own, along with a docking station for your smartphone. It’s a brave new world, indeed. Do you feel the icy pang of cold tile on your feet every morning when you step into the bathroom? So do millions of others, which is why radiant floor heating (RFH) is becoming a popular addition to bathroom remodels. Radiant heat systems can be installed underneath linoleum, laminate or tile flooring, making the bathroom an ideal space for them. The systems can either be hydronic, consisting of tubing that channels hot water under the floor, or electric, which substitutes hollow tubing for mats of copper or nichrome wires. Because cold floors are so 20th century. RFH offers more efficient heating compared to conventional heating systems since it heats up a room from the ground up, as opposed to a radiator which forces hot air towards the ceiling and then switches off after the desired temperature is reached. An RFH systems maintains an even temperature throughout the room, and does so using less energy than a furnace or radiator. Its a win-win for the environment and your cold feet! 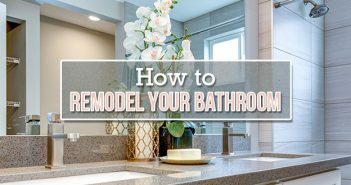 Need some more ideas for remodeling your bathroom? Check out our previous posts on tiling options for small bathrooms or learn how to remodel your bathroom step-by-step.